Want up to 50% more shine? 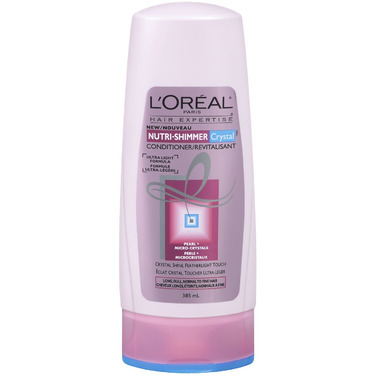 Try L'Oreal Hair Expertise Crystal Conditioner (and shampoo) and experience crystal shine with a featherlight touch. This conditioner has a silicone free formula enriched with protein that nourishes the hair fibre with moisture while leaving it feeling soft and light. Plus it is enriched with pearl and micro-crystals, the formula provides true shine. Hair captures light and sends it back in multiple reflections for a superb crystal shine from root to tip.